The Enlightenment is generally agreed to have occurred between 1715 (the year that Louis XIV died) and 1789 (the beginning of the French Revolution). Some say that the Age started in the 1620s, with the start of the scientific revolution. Regardless, the Enlightenment included an array of ideas grounded on Reason as the main source of authority. 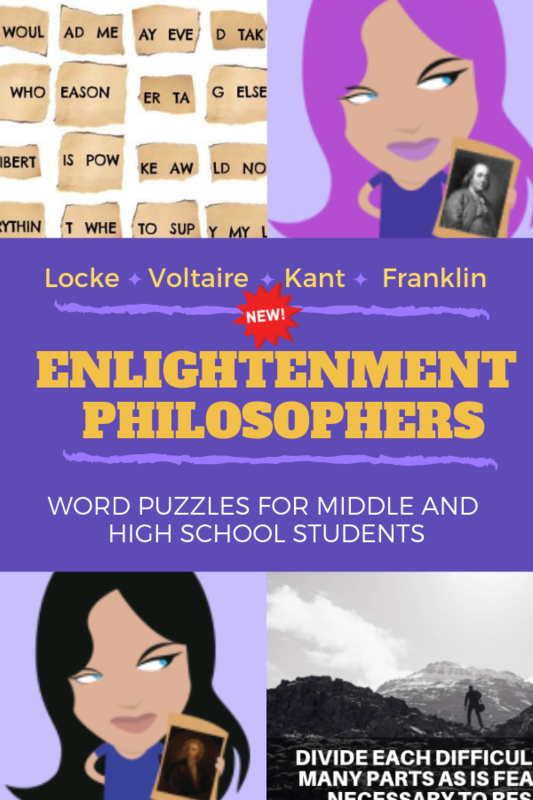 Teach the exciting ideas of liberty, fraternity, constitutional government and separation of church and state with puzzles and activities – we’ve chosen 5 fun puzzles and activities for teaching the Enlightenment philosophers to your kids! Enjoy! 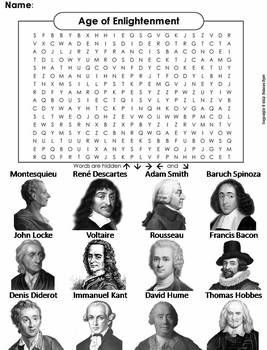 This word search is a great way to review the important figures from the Age of Enlightenment. The solution to the puzzle is included. Terms Included: ♦ Adam Smith ♦ Baruch Spinoza ♦ David Hume ♦ Denis Diderot ♦ Francis Bacon ♦ Immanuel Kant ♦ John Locke ♦ Montesquieu ♦ René Descartes ♦ Rousseau ♦ Thomas Hobbes ♦ Voltaire. 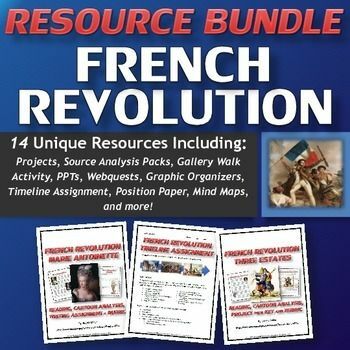 Resource bundle for the French Revolution from just before during the Age of Enlightenment to the rise of Napoleon. Covers all of the main events through PowerPoints with vivid images, webquests, source and cartoon analysis packs, readings with analysis questions, gallery walk activity, graphic organizers, position paper, mind maps and crossword puzzle review! 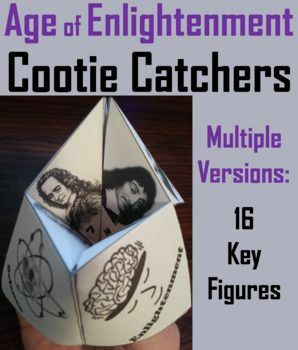 Introduce your students to Enlightenment philosophers! Thinkers John Locke, Voltaire, Immanuel Kant, and Benjamin Franklin are featured in these unusual no-prep bellringer puzzles that include inspirational quotations and fun facts!